The first units of the BMW i8 have been delivered to customers in Germany. 8 units were delivered to their respective owners at a grand event at BMW Welt in Munich. The cars were fitted with BMW’s new laser headlights, making the car one of the first series production cars to be fitted with the technology. The absolute first production car to get the technology was the Audi R8. Now we await BMW to announce the delivery dates for the i8 to Indian customers. We will bring you more information about the same as it comes in. Stay tuned. Production of the 2015 BMW i8 will begin in April 204, the first will be delivered to customers in Europe in June. BMW has released the final list of performance figures, equipment on offer and most importantly, the efficiency figures of the car. BMW has already got more offers from customers than it had anticipated and it exceeds the planned number of production units. The BMW i8 can go from 0-100 KMPH in 4.4 seconds, this is while running with the 1.5-litre 3-cylinder petrol motor and the electric motor combined. The petrol motor has a peak power of 231 BHP and 320 Nm of torque while the electric motor generates 131 BHP and 250 Nm of torque. BMW also claims that the final average efficiency figure for the i8 is 47.6 KMPL in the European test cycle, which is pretty great for what is essentially a high-performance sports car. The top speed of the car is electronically limited to 250 KMPH in hybrid mode, in electric-only mode the top speed is 120 KMPH with a range of 37 KM. Charging the batteries can take anywhere from 2-3 hours depending on the charging point. BMW has also confirmed that the i8 will be offered with laser headlights as an option, a first for any production car in the world. It will be 30-per cent more energy efficient than a comparable LED-unit and will have a range of up to 600 meters. The beam from the new laser headlights are also on the eyes as their colour is closer to natural daylight, this will prevent oncoming drivers from getting dazzled by it. Deliveries of the car to Indian customers should start by end-2014. BMW has announced that the 2015 BMW i8 will be offered with their patented laser-headlight technology, a first for any road-going car in the world. Sales of the car in India will begin only in 2015 after it is launched late in 2014, which could mean that the new headlight system could be offered to customers in India too. The BMW i8 is technology showcase and will be the first car to get the new tech, though the headlight systems will slowly trickle down the BMW range over the years. BMW claims that the new headlights will be much more efficient than comparable LED solutions and will also provide better lighting than before, with a claimed range of 600 metres. Oncoming drivers will not get dazzled by the laser beams as on-board cameras and other sensors will control the beam to by-pass their line of vision. The laser headlight system is also smaller and lighter than comparable LED units saving overall space utilised and weight of the car. BMW has not confirmed if the technology will be offered on the units of the i8 headed to India, we expect them to do so. We will confirm the same, stay tuned to Car Blog India. 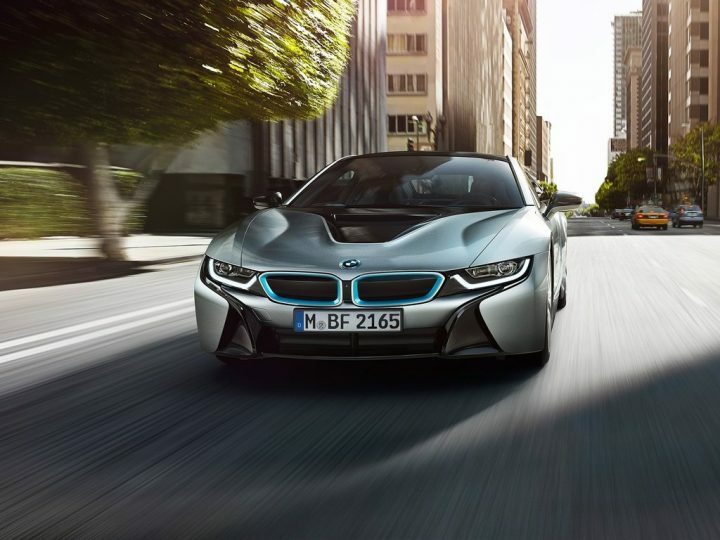 The BMW i8 is the flagship in BMW’s ‘i’ series of electric/hybrid car range. As of now the BMW ‘i’ range consists of the BMW i8 and the BMW i3. While the i3 is a city car with limited range, seating for 4 and the practicality of a typical hatchback, the i8 is an electric/hybrid sports car which features the best of the best in terms of weight saving technology, battery technology, hybrid drivetrain among others. The BMW i8 has been unveiled at the 2014 Indian Auto Expo and the 8-odd units have been allocated for customer in India. The car will be launched in India via the CBU-route by the end of 2014. To be announced. We expect the car to be priced at about Rs. 1.4 – Rs. 1.6 Crore when launched. BMW, the German car marquee needs no introduction. It has a slew of cars in its line-up which account for some pretty formidable cars. The BMW i8 hybrid sports car grabbed a lot of eyeballs when it first broke cover in concept guise and its production version was not much different too. The same is all set to make an Indian debut at the 2014 Auto Expo in production guise, it was first showcased at the 2013 Frankfurt Motor Show. But guess what, the car has been caught on camera on Indian soil before the official launch. BMW i8 is a hybrid sports car comes with a 1.5 litre twin-turbo petrol motor and an electric motor. The petrol engine has 231 BHP and 320 NM of peak torque on offer and it powers the front wheels of the car. The electric motor which drives the rear wheels has a maximum power of 131 BHP and a peak torque of 250 NM on offer. 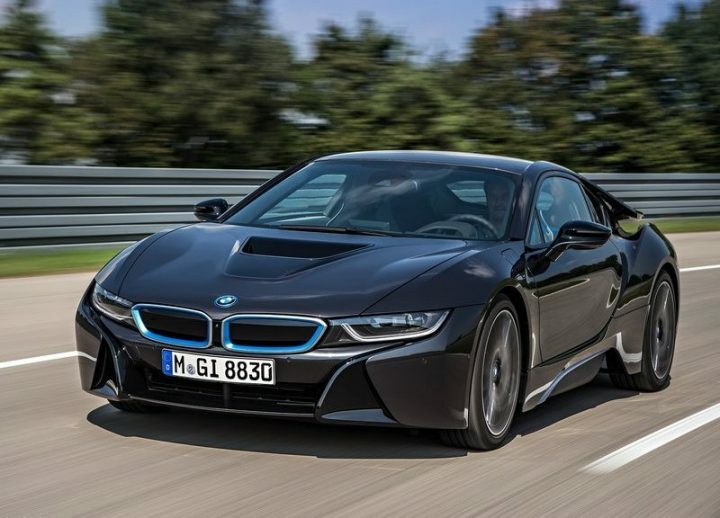 So if we add up the power figures, the BMW i8 has 362 BHP of power and 570 NM of torque up for grabs. The BMW i8 does the 0-100 km/hour dash in 4.5 seconds before hitting the electronically limited top speed of 250 km/hour. But this is not where the i8 stops to impress you. The sky high fuel efficiency of 40 KMPL is unheard of in a sports car. 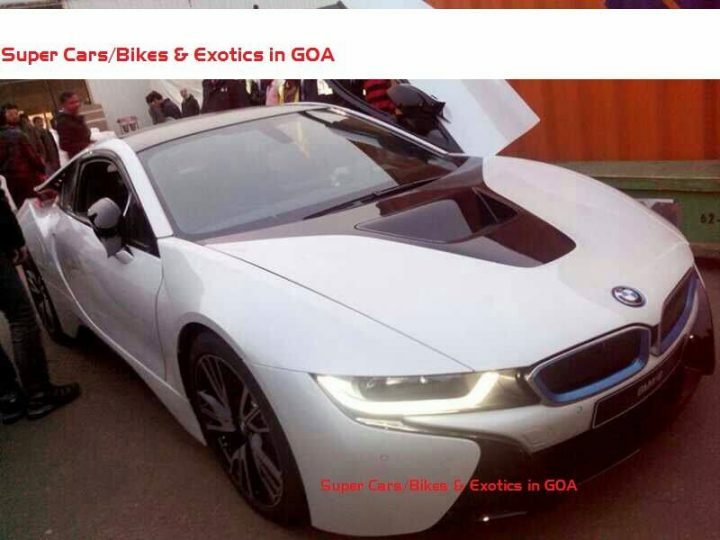 BMW is believed to have already sold out the first year’s production of the i8 which would result in allocation of merely 8-10 units for the Indian market in the first lot. And now let us talk about the price. 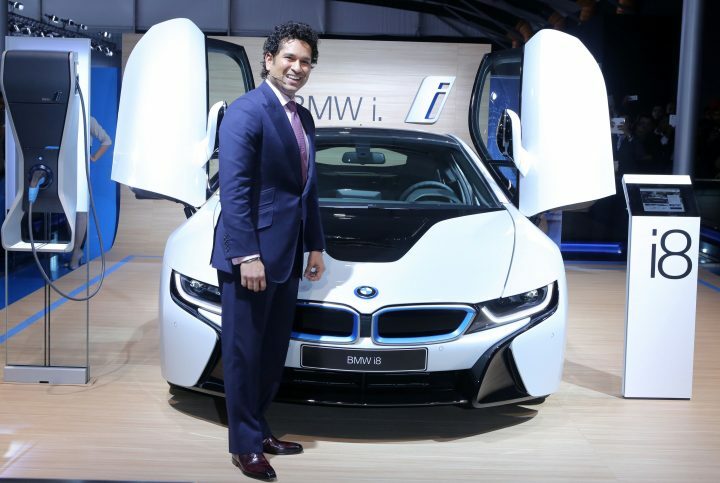 The BMW i8 would come with a price tag of at least Rs 1.4-1.5 crores as it will come to us via the CBU route. But we are pretty sure that it will find a lot of takers at that price point as well. You can drive around in your i8 super car without polluting the environment unlike a regular sports car and be the centre of attraction when you drive it around. It may not be as powerful as an Audi R8 but it surely will affect the sales of the same. The R8 vs i8 battle is going to be something that we’d surely like to look forward to.